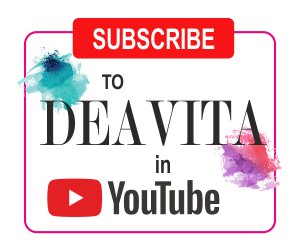 Have you thought of an elegant and feminine witch costume for Halloween, a carnival or a theme party and are you looking for great ideas how to create a charming witch’s face? 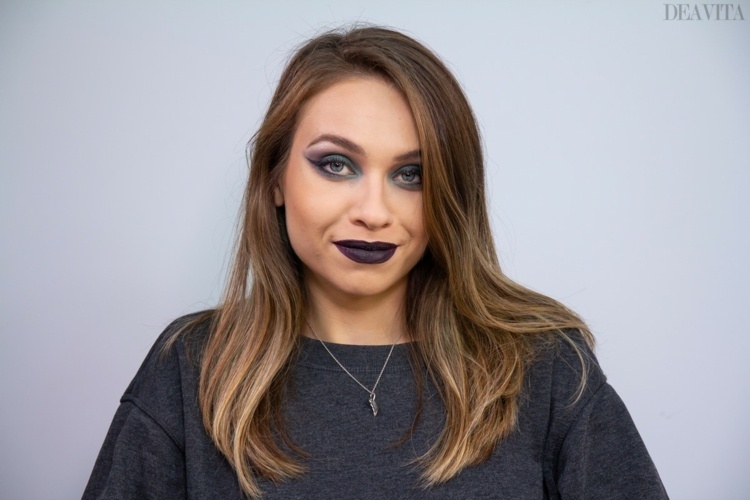 We shall offer you a detailed step by step guide for witch makeup that will help you prepare for the transformation. 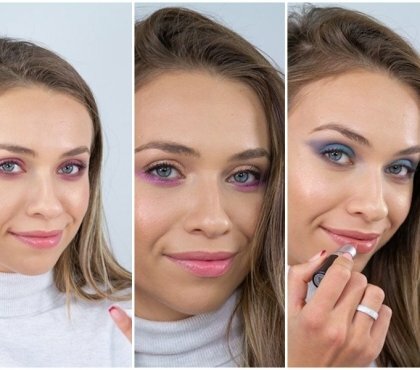 Follow our simple makeup instructions and create a spectacular look. 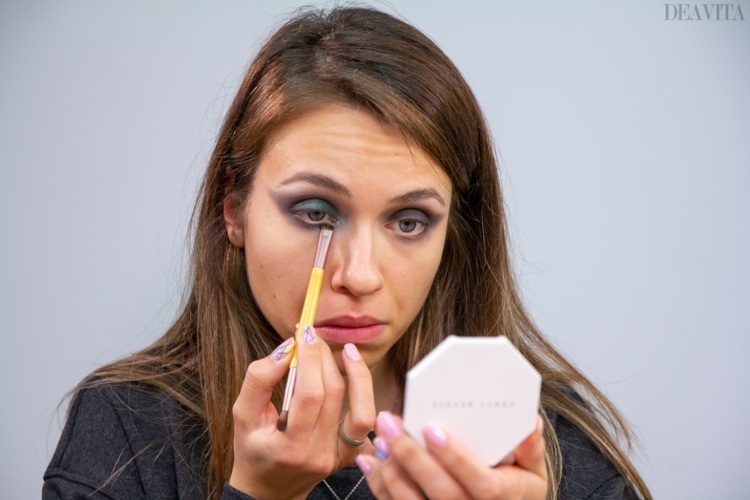 Apply the concealer to the eye area. Use a finger to spread the concealer evenly. Dab gently with a makeup sponge to blend. 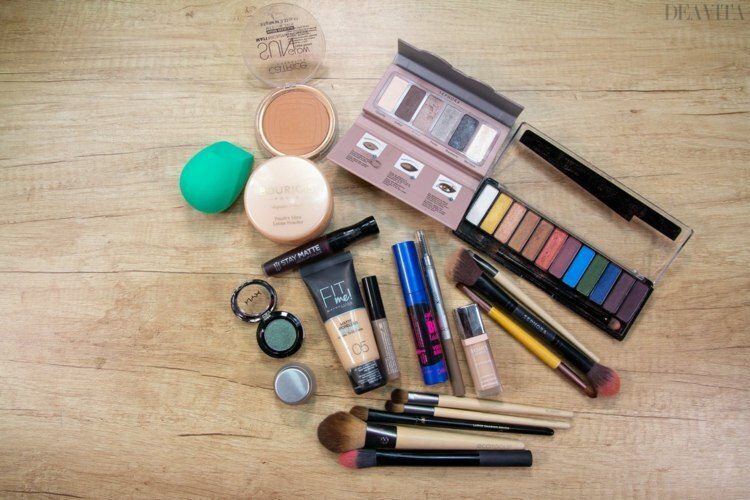 Make sure that there is no concealer left in the creases under your eyes. 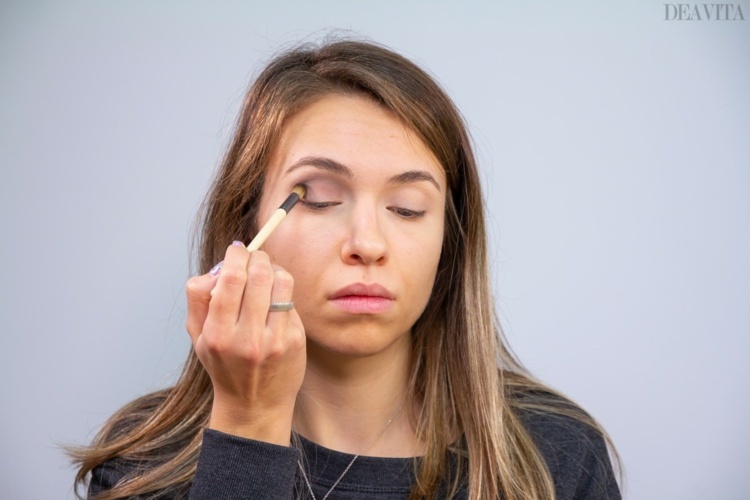 Use powder and a flat foundation brush to set the concealer. Apply brown eyeshadow in the crease with a defined crease brush. Use white eyeshadow and an all-over eyeshadow brush to enhance the brow bone. Apply black eyeshadow all over the lid using the same brush. Optically extend the outer corner of the eye with the eyeshadow. Smoke out the lower lid and connect it with the outer corner. Concentrate on the edge where black and brown eyeshadows meet and also on the lower lid. Apply shimmery green eyeshadow in the center of the lid and in the inner corner. Use your finger for a higher saturation. Blend the green and black eyeshadows with the all-over brush. 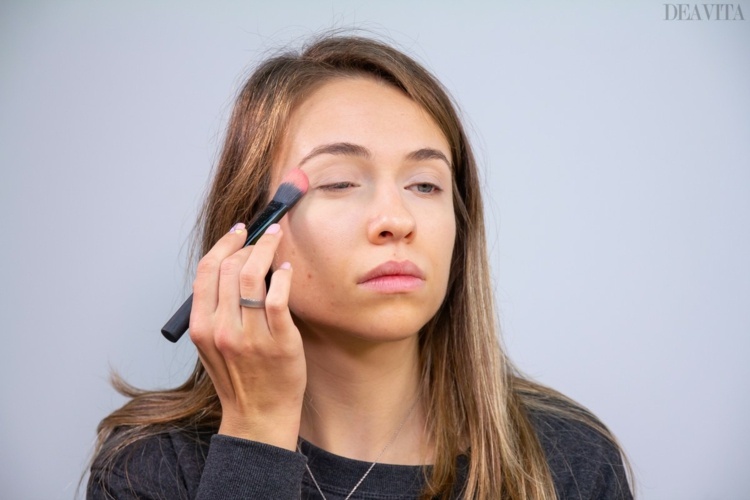 Apply the eyeshadow to the inner corner of the eyelid using the Smudger brush. Apply gel eyeliner with an angled brush. Start from the center of your lash line and follow it to the outer corner. Turn the brush with the angle pointing outwards. Fill the space left from the center of your lid to the inner corner following the lash line. Comb the eyebrows with a spoolie. Fill in your eyebrows with an eyebrow pencil. To set the hairs in place comb through using an eyebrow gel. 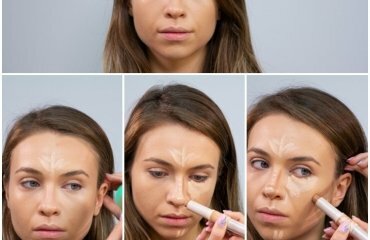 Dot foundation all over your face. 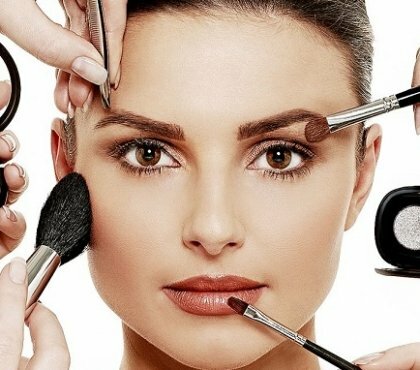 Contour the cheeks with bronzing powder and a sculpting brush. Outline your lips just a little bit to make them look fuller.